Director of the Centre for Computational Mathematics in Industry and Commerce. Statistical reasoning, exploratory data analysis, data visualization, and the development of interactive computational environments which support these activities, comprise the broad areas of Professor Oldford's research interests. Much of this kind of research has come to be known in recent years under such names as statistical learning and data mining, the latter being used mainly when data sets are so large that computational considerations figure importantly in the statistical methodology that can be applied. The goal is typically to uncover previously unknown, unanticipated, or unusual, relationships and�structures within a set of data. The data set could consist of a set of text documents, financial transactions, gene expressions, and so on; characteristically the data will contain many items each of which will have many measured variables or dimensions. Professor Oldford and his students have developed and applied data mining methodology to such applications as the real-time clustering of document snippets returned from web searches, pharmaceutical drug discovery, and predicting whether a patient carries a genetic mutation for colon cancer based on their family history. Other students under his supervision have carried out more theoretical based investigations on dimension reduction and a variety of algorithms for finding like groups in data (or clustering). Professor Oldford has developed methodology and software for carrying out interactive clustering, the approach being to design and provide a computing environment where the data analyst can search for structure, freely mixing different automatic clustering methods with one another and in combination with interactive visualization tools for high dimensional data. These tools are added to the quantitative programming environment called Quail which has been developed over many years by Professor Oldford, his colleagues and students.� Quail was designed primarily as an experimental computational laboratory for prototyping interactive methods and for expressing data analysis strategies in software. Related to computational structure and methods for interactive data analysis, but somewhat removed from software implementation, is Professor Oldford's research on the philosophical structure of statistical reasoning. More generally still, Prof. Oldford's scholarly interests include the role of scientific�and statistical reasoning in public policy. Professor Oldford's professional statistical career began at Statistics Canada where he was a survey methodologist. After his graduate training, he joined the Center for Computational Research in Economics and Management Science of the Sloan School at MIT where he taught statistics, conducted research and was statistical consultant to the speech recognition group at MIT. Over the years Prof. Oldford has consulted privately on statistical and computational problems with a variety of organizations including publishing houses, medical and dental researchers, AT&T Bell Laboratories,� Dupont, and the US Federal Reserve Board among others. Professor Oldford was one of three founders of the Society for Artificial Intelligence and Statistics, which has been holding biennial workshops on A.I. and Statistics, since 1990. He has been active in a variety of other national and international organizations including being elected to the council of the International Association for Statistical Computing and the board of directors of the Statistical Society of Canada. Professor Oldford has served on the editorial board of the Journal of the American Statistical Association, the Journal of Computational Graphics and Statistics, the International Statistical Review, and Statistics and Computing, where he also served as Editor-in-Chief from 2001 to 2006. 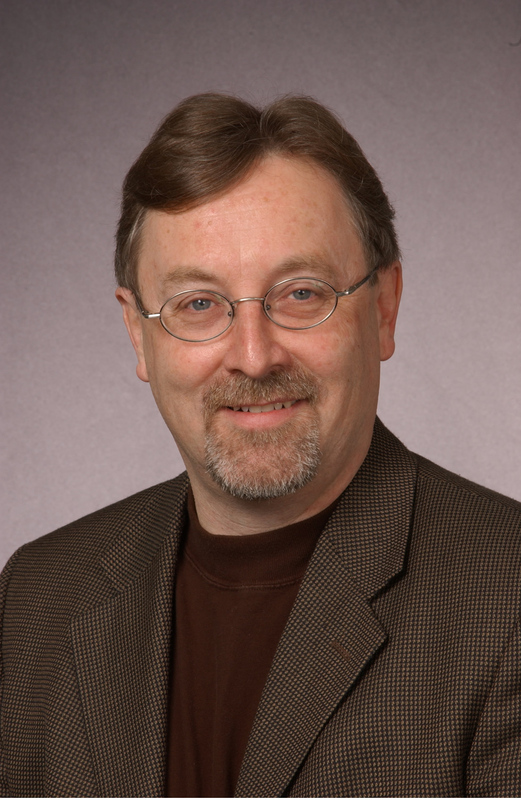 Professor Oldford has been on numerous conference program committees, including chairing the 4th International workshop on AI and Statistics and, from 2002 to 2005, co-editing the series of�interdisciplinary papers on "Statistics, Science and Public Policy" from the conferences of the same name. Since joining the University of Waterloo, Professor Oldford has served as Associate Chair of Statistics and Actuarial Science, Associate Dean (Computing) for the Faculty of Mathematics, and is presently the Director of the Centre for Computational Mathematics in Industry and Commerce. J.C. Bailar, III, H.B. Dinsdale, B.A. Farbey, A.M. Herzberg, K.W. James, and R.W. Oldford. "Statistics, Science and Public Policy: Recommendations for Government and the Scientific Community". Report (2004), ix + 14 pages. R.J. Mackay and R.W. Oldford. "Scientific Method, Statistical Method, and the Speed of Light", Statistical Science, 15, no. 3 (2000), pp. 254-278. R.W. Oldford. "The University: Past and Future. What's new? ", Statistics, Science, and Public Policy: V. Society, Science and Education, A.M. Herzberg and I. Krupka (editors), (2001), pp. 83-91. R.W. Oldford. "The Quail Project: Overview and Current Directions", Interface of Computing Science and Statistics, 30, (1998), 30, pp. 397-402. (see also http://www.stats.uwaterloo.ca/Quail). R.W. Oldford and S.C. Peters. " DINDE: Towards a More Sophisticated Software Environment for Statistical Analysis . SIAM Journal of Scientific and Statistical Computation, (1988), pp. 191-211.